“Trust is in crisis around the world. The general population’s trust in all four key institutions — business, government, NGOs, and media — has declined: To rebuild trust and restore faith in the system, institutions must step outside of their traditional roles and work toward a new, more integrated operating model that puts people — and the addressing of their fears — at the center of everything they do.” 2017 Edelman Global Study. Trust and integrity lie at the heart of economic progress and human welfare. In the field of contract and commercial management, one that the International Association for Contract and Commercial Management (IACCM) has been dedicated to now for 18 years, I believe that significant positive contributions can be made. Contracts are everywhere, there are millions of them, and they have been around for thousands of years so you would expect their purpose to be clear and universally understood. In a recent IACCM research study, we discovered that the opposite was true. The study asked participants to evaluate the extent to which a contract should fulfill a selection of eleven possible purposes. They were then asked to assess how successful their contracts are in achieving each purpose. On every category, they acknowledged underperformance – with “a framework for a mutually successful business outcome” recording the biggest shortfall. The idea that contracts should “demonstrate brand and corporate values” was the least selected purpose in the survey. Though perhaps not unsurprising, this low score is unfortunate and adds further fuel to the issues around institutional trust and corporate integrity. How you manage and fulfill your contracts will reflect back on how your company is perceived. I was legally trained – I remember distinctly being taught that the best contracts are those that are confined to a drawer; if we need to get them out then clearly disaster looms! Today, that drawer may be virtual, but largely the view remains the same. That, I venture to suggest, is a large contributor to the contract failures that we see today, indicating the purpose of a contract as a “legal weapon”, failing to fulfil the role of providing operational guidance, a joint agreement of what needs to be delivered, when and for how much, and hindering the development of trust between the parties. For years at IACCM, we have talked about contracts as first and foremost “economic assets,” not legal weapons. In October 2016 two professors, Oliver Hart and Bengt Holmstrom, were awarded the Nobel Prize for Economic Science for their work on contract theory, reinforcing a similar award to Oliver Williamson in 2009. The Nobel prize recognized yet again that contracts are indeed fundamental economic instruments. If you doubt this concept, think for a moment how much business is worth if it has no contracts. Legal and contract practitioners have been taught to design and write contracts by long-established traditions that even they and their fellow drafting professionals often struggle to understand. Our desire to anticipate and cater for every risk, every uncertainty, has led to an explosion in the length of contracts, making them unwieldy, often contradictory and taking months to conclude. We have responded to growing complexity and risk through classic negative incentives and in this approach, we avoid the tough negotiations we should be having. We create barriers, we eliminate transparency and trust and prepare ourselves for failure, rather than establishing collaborative mechanisms and the positive performance incentives required for success. Is this an intelligent way forward? What is the point of a contract that can only be understood by experts when those experts play no role in project delivery? What is the point of a contract written largely in anticipation of failure? In general, lawyers and contract professionals have not been trained to consider behavioral factors associated with contract terms. Their contract templates rarely make provision for the terms that would safeguard business results, and at any rate, most of them are impossible to understand for any normal human being, so back to the drawer they go! We need to embrace a fundamental shift in the way that we support and sustain successful trading relationships between government and business. We need to start using our contracts and our commercial policies and practices to demonstrate corporate integrity and engender trust. IACCM is vehement in its calls for change. It is at the forefront of projects on contract simplification, the creation of industry standards and contracting principles in both the public and private sectors. 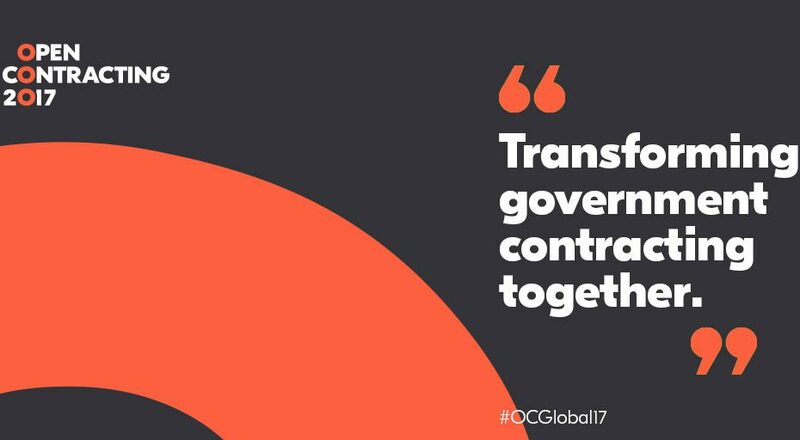 There is no question of the negative impacts that will continue to arise from declining trust, and I am proud, in my role at IACCM, to be taking a position of leadership in proposing solutions to these challenges and discussing them with you at Open Contracting 2017 in Amsterdam.